Madison couldn't move. The only muscle in her body capable of stirring at all was her heart, and it felt like it was trying to make up for the rest. No ropes bound her. Nothing visible pressed her back and legs into the coarse beige carpet of her new rental home. Yet even as she writhed and twisted against unseen restraints, she knew she was trapped. Tied to the ground in a way that made her feel like a virgin sacrifice atop an altar. The man looming over her, chanting spells and arranging crystals, didn't look like a powerful sorcerer. David McClellan had too weak a chin and beady little eyes. Those eyes, brown as mud and just as compassionate, told her without words that they would be the last thing she saw. She didn't even understand why! Not that it would make a difference if she did. But she wasn't anyone special. She wasn't important. She was just an elementary school music teacher – or would be after she finished a semester of student teaching. This kind of thing didn't happen to her. To her friend, Cassie, scion of a powerful family of sorcerers, maybe. 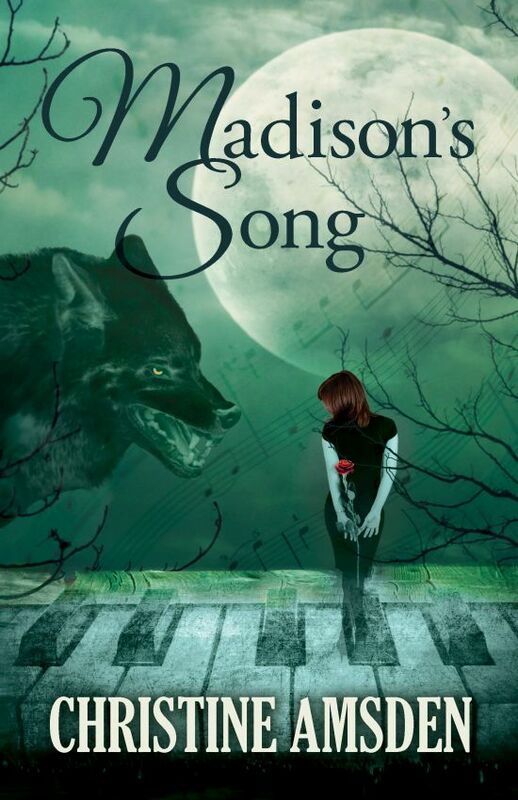 But Madison had no family connections and almost no magic aside from her beautiful, subtly enchanting voice. Why would anyone hurt her for a song? A tear fell sideways into her sweat-dampened hair, joining countless others and doing exactly as much good. How long had she lain here, helpless? Minutes? Hours? It might only have been seconds. The box of “Card and Board Games” she had been carrying into the house lay on its side a foot or two away, some of its contents now strewn across the bare living room floor. There hadn't been any warning. One second she was on the way to her new bedroom to unpack her tenth or eleventh box, the next instant she was on the floor. Immobile. Helpless. Confused. Terrified. Oh Lord! Why hast thou forsaken me? There was magic in the air, growing stronger with each new crystal David arranged into a pattern only he could see. Cold, deadly magic that reinforced her every childhood fear. Her father had told her that magic was from the devil. Was this what he'd meant? Was this her punishment for brushing up against the world of sorcery, no matter how lightly? The time had come to pull herself together. To think. She wasn't helpless. She had a little magic of her own, even if the thought of using it made her feel sick inside. God had not forsaken her. He had given her a tool if only she could rein in her stampeding heart rate long enough to search her memory for what little knowledge she possessed. First, she had to find her quiet place. 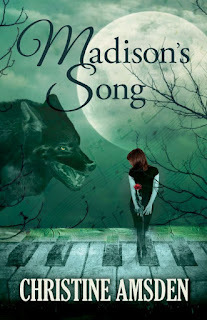 Madison drew in a deep, shuddering breath and started to close her eyes, when a glint of something metallic caught her attention. She stared at the long, lethal dagger in David's hands, an ornate golden hilt largely hidden within his iron fist. His eyes drifted up and down the length of her bound body before settling on her midriff. He lowered the blade. He was going to cut her. She squeezed her eyes shut, bracing herself against the expected pain. Or worse. Her concentration snapped when cold metal bit into warm flesh. Her eyes popped open, her muscles strained once more against invisible bonds, and she screamed. Wait, she could scream? She had a voice? Her throat continued to work, but no sound emerged. She felt like a fish being gutted, choking and spluttering as David returned to the work of cutting into the soft, sensitive flesh of her belly. Yet even as tears refilled her eyes and fear devoured her heart some part of her recognized that her guts remained intact. Whatever David was doing to her with the dagger involved tracing shallow patterns across the surface of her skin. “You're just making this harder on yourself,” David said.